This Outstanding 3600+ square foot Contemporary home offers vaulted ceilings, an open floor Plan, 1st Floor Master suite with a workout room, an office, hot tub and Master Bath. This home is located on a quiet dead end street in Hughes Elementary School District. And if that doesn't make you want to move right in, the basement has a recreational and theater room. 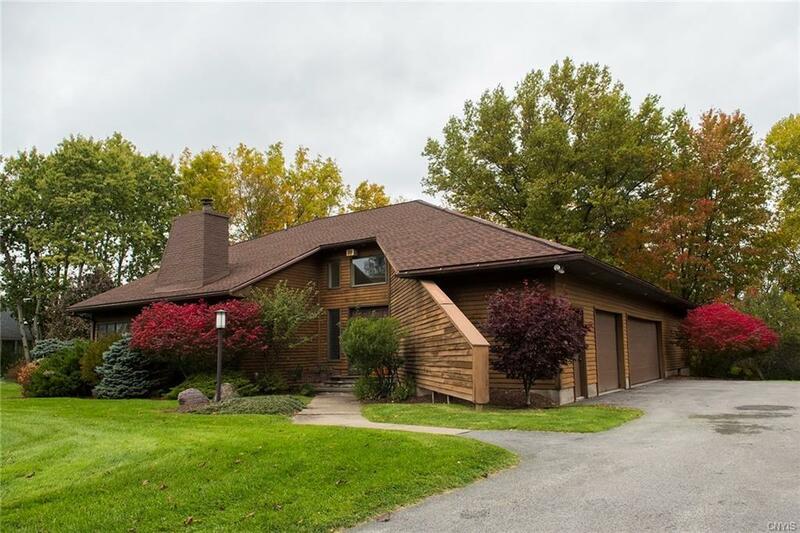 The backyard is private and offers views of the Mohawk Valley.Recreation/playroom in Basement is 35 x 10 Theatre room in Basement Home Inspection/Radon have all been completed. Directions To Property: -turn Onto Sylvan Glen Road From Pleasant Street In Utica. From Tilden Ave In New Hartford, Turn On To Beckwith Road.